Specialist in historical horns through the ages. I was born in Birmingham in the United Kingdom. But my father was from Australia so we moved back there when I was little, that's where I have my earliest musical memories. There was a local Kodaly music class which I would go to - it was all about playing music games, lots of clapping , singing and dancing and I loved it. When we moved back to the UK I lived in a house with a big garden and a pond. My favourite things to do were making dens in the garden, climbing trees and finding various animals living in the garden. I especially loved the newts in the pond! Both my parents love music - my father played the trumpet when he was a child and my mother was a timpanist - but they both grew up and went into non-musical jobs. We had a piano at home and I used to like trying to pick out tunes so when I was old enough my parents sent me for piano lessons. Every so often my father would get his old trumpet out (he kept it on top of a wardrobe) and let me and my (younger) sister have a go. My sister could get a note out of it but I couldn't which made me very cross! One day at school we were asked to put our hands up if we could read music - as I'd been learning the piano I could. Those of us who did got the opportunity to try out for brass instruments - at that stage either the trumpet or trombone. I got picked for trumpet, which I didn't really like. Eventually I got the chance to learn the tenor horn, which I really loved. And when I was a bit bigger I got to play the French horn. My parents always had the classical music radio station on. I lived in a house where there was a radio tuned-in in every room! So I heard a lot of music every day. But I remember, one year I got a cassette tape (this dates me!) in my Christmas Stocking from Father Christmas. It was a tape of the music of Delius. I loved this tape - it was the first piece of music that was MINE! I used to listen to it a lot, especially first thing in the morning. I was really fortunate growing up in Birmingham. The city really promoted music (Sir Simon Rattle was the conductor of the local orchestra - the City of Birmingham Symphony Orchestra) and whilst I was growing up they were building the new Symphony Hall - so there was a lot of celebrations of music and music making. Also I lived close to the Midlands Art Centre which did lots of classes and events for the local community. I really loved music and when I was growing up I had lots and lots of opportunities because my home town had a really excellent scheme for young musicians. There were very many ensembles and bands for all sorts of music and for all sorts of levels. So as soon as you could play a couple of notes you got put into a group which was great fun! I really enjoyed playing the horn but I wasn't really sure if I was good enough - I hadn't been to a specialist school so I wasn't sure what the level was like. My back up plan was to go to university and study on the more academic courses but I applied to the music colleges (where, in the UK, you go to study to become a performing musician) and was really happy when they all offered me a place to study. My favourite thing about being a musician is that I really love playing the horn! 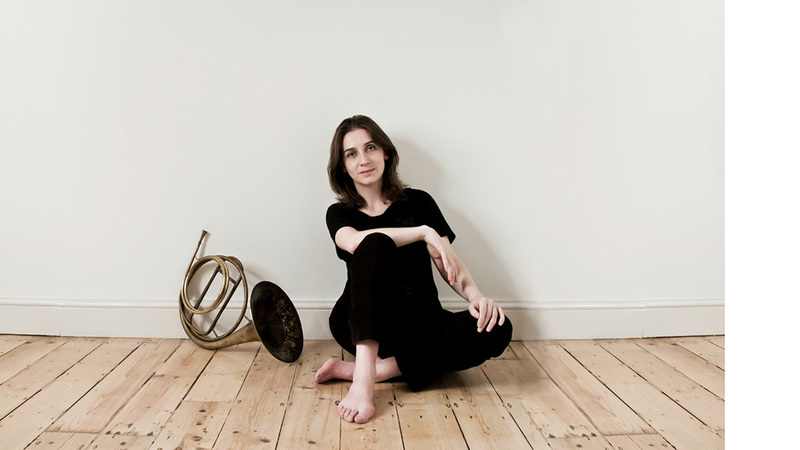 I play many different types of horn because I specialise in the older versions - the parents, grandparents and great-grandparents of the modern French horn we have today. The horn has a really exciting history and I love exploring the repertoire we get to play. I travel a lot, playing with ensembles throughout the world and I enjoy seeing the world this way. I've been able to travel to many places and meet a lot of people this way which is a real bonus! I think most things in my life revolve around music! I enjoy listening to msuic and have a huge collection of CDs. A lot of my work is playing music from earlier times, so I have to be a bit of a detective and search out information about this music and the musicians who played it. So I like visiting libraries and discovering pieces of music that people have forgotten about. And I like reading old books, trying to find out more about the people who wrote and played music in earlier times. A huge amount of fun! I really like how Brass for Beginners shows you how rich and exciting the world of music and brass playing can be. I like how there's information about history and how instruments were made. Music reaches into all sorts of aspects of life and I hope students will enjoy exploring them with Brass for Beginners!